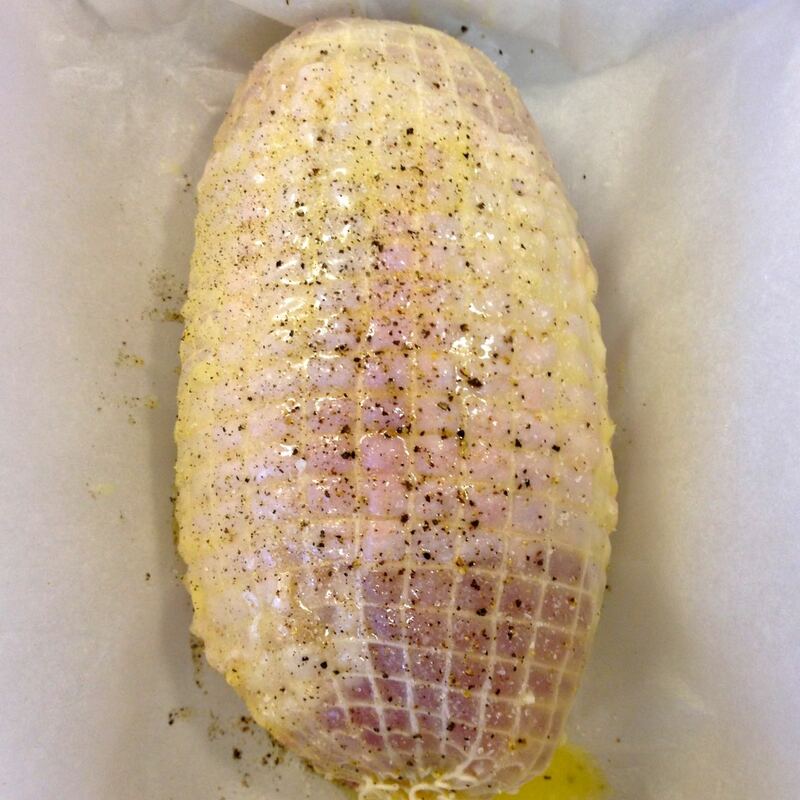 Convenience comes in all shapes and sizes, but when it comes to turkey, rolled breast roast is what’s needed to create a great little roast turkey dinner. Typically they’re about 1.5 kg / 3# each, and serve 6-8 people. All they need is a little glaze while roasting, and everyone who wants turkey, but doesn’t want to deal with the whole bird, will appreciate them. Two versions are shown in the recipe, each is wonderful. I use either, depending on the type of marmalade I have, so have shown them both. 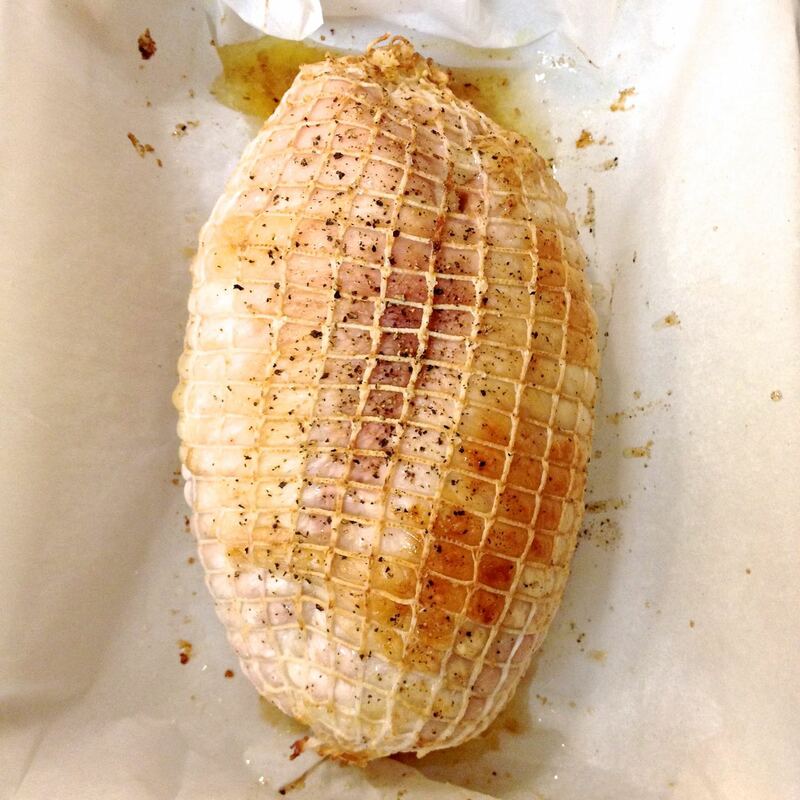 Take the rolled turkey breast out of the fridge 1 hour before roasting. Set in a parchment lined baking dish. 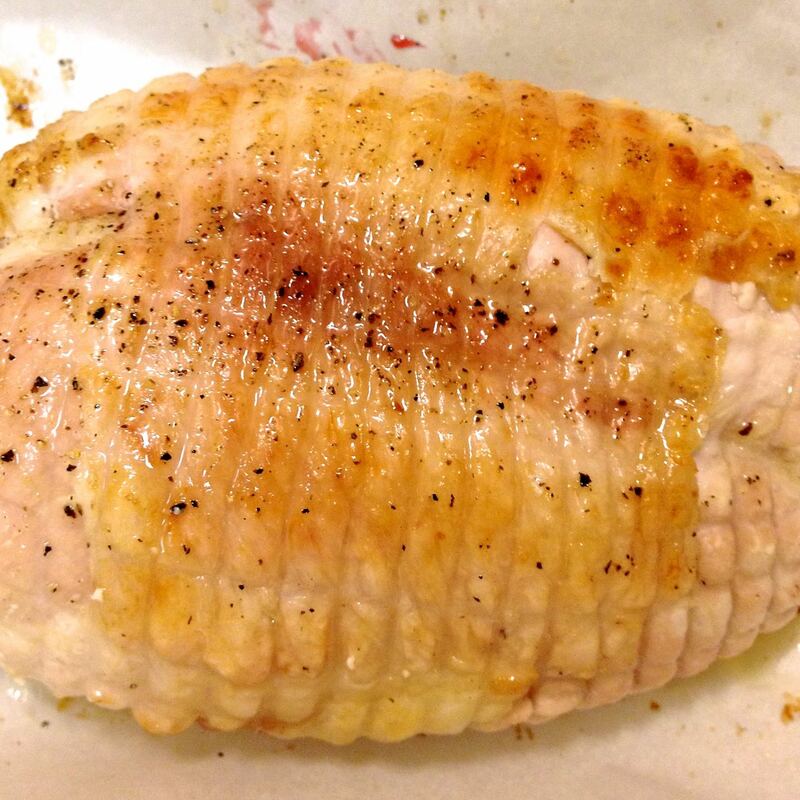 Baste with the melted butter ~ it will firm up on the turkey. Roast the turkey for 60 minutes. While it’s cooking, make the glaze. Put all of the ingredients into a small saucepan. Bring to a gentle boil, stirring to mix well. 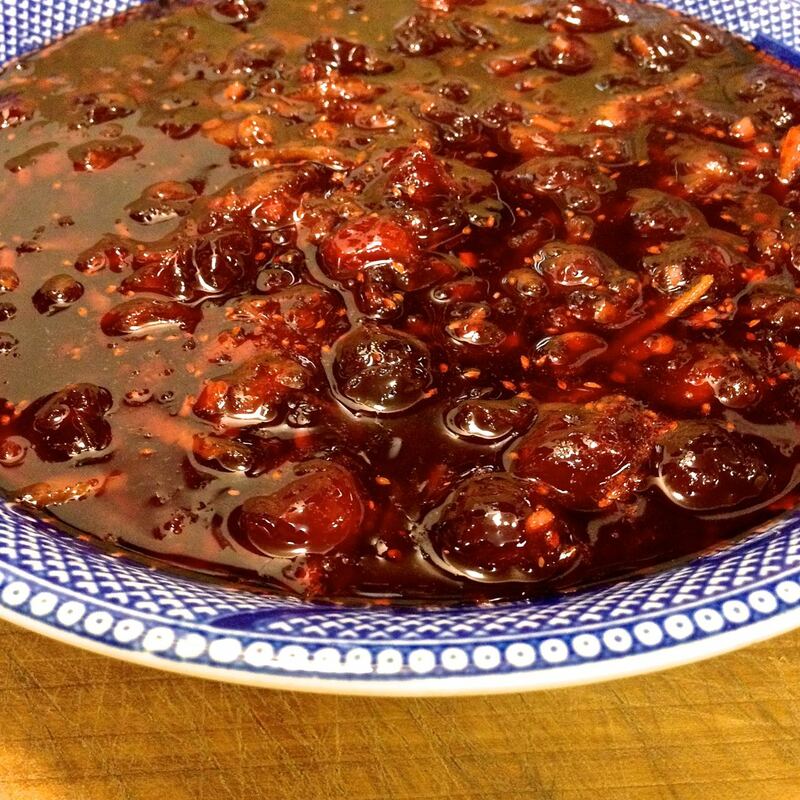 Cook gently for 10-15 minutes until the berries are bursting and starting to fall apart. Remove from the heat, stir thoroughly, cover, and leave to rest. 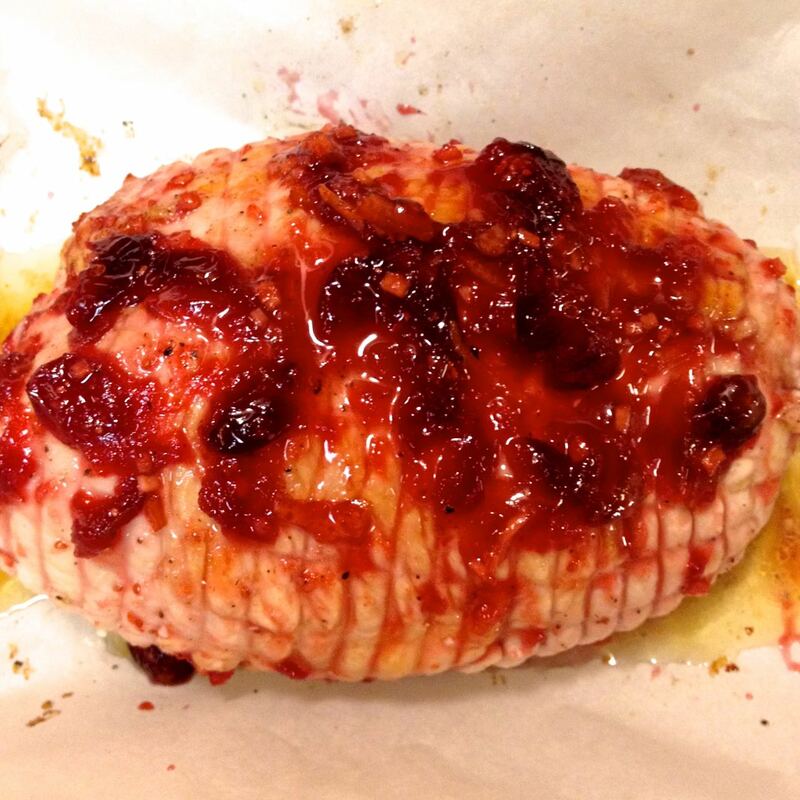 After the turkey has roasted for 60 minutes, remove it from the oven. Snip the netting along the top, and remove. Baste the turkey, which has started to brown, with some of the glaze liquid. 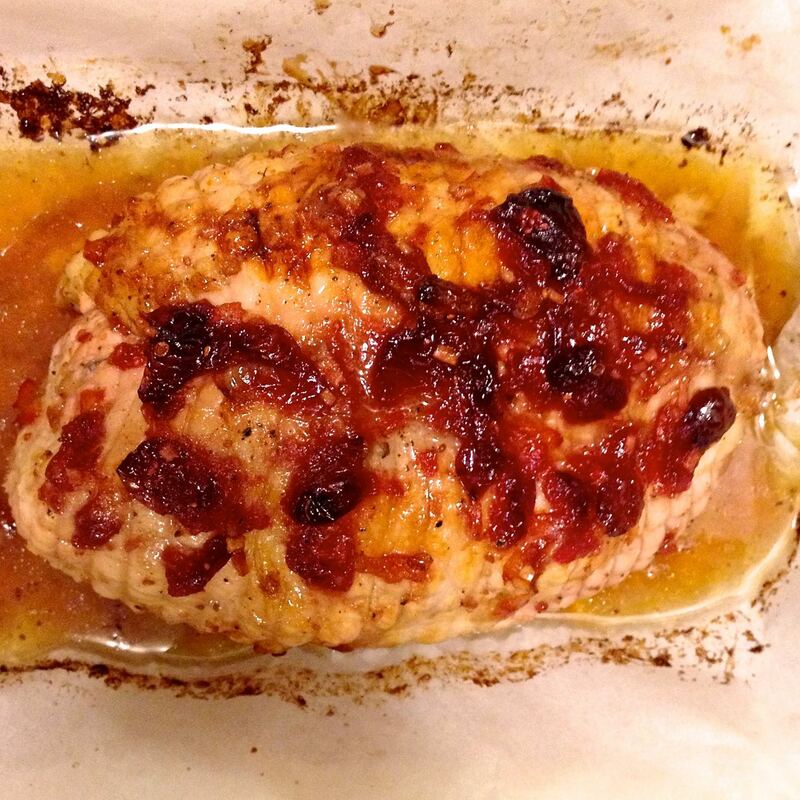 Return the turkey to the oven, and roast for another 15 minutes. 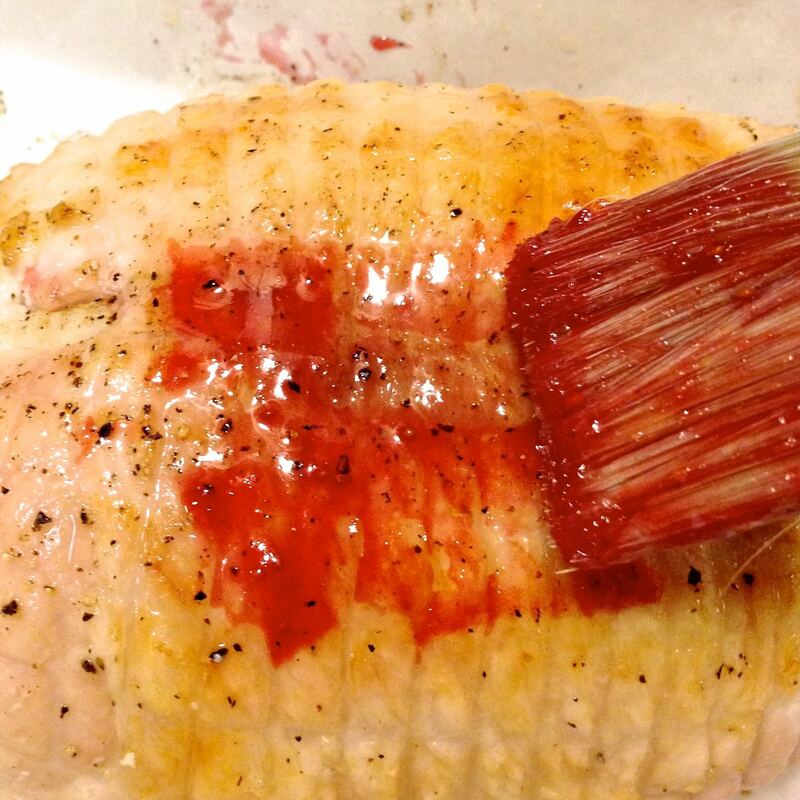 Remove the turkey from the oven and baste again, this time allowing some of the berries to stay on the roast. 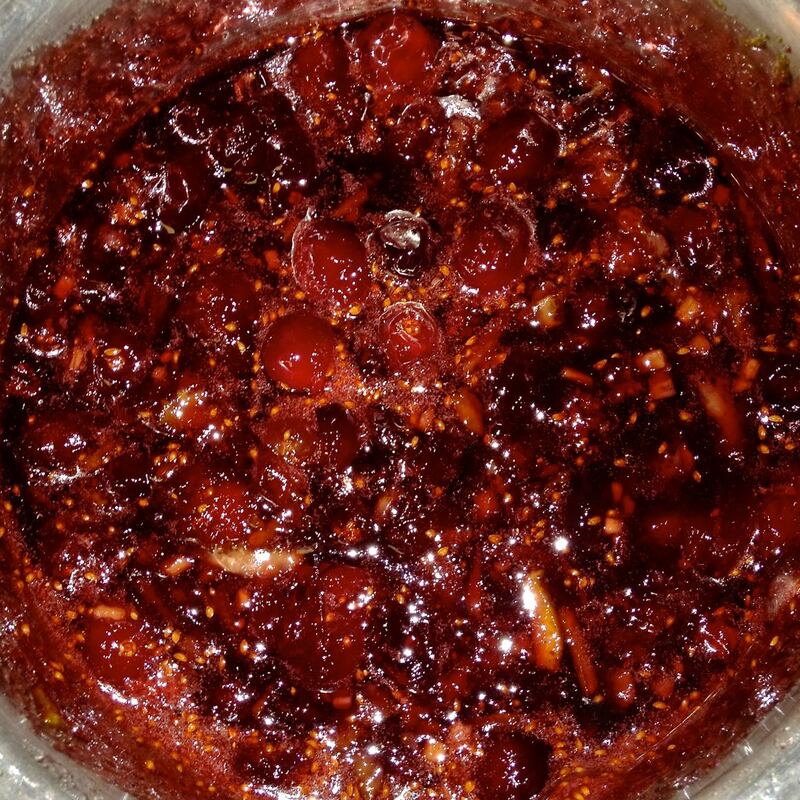 Spoon the cranberry glaze, which will have thickened somewhat while resting, into a small serving bowl. Let the turkey rest for 15 minutes before serving. Slice into ¼” thick slices. 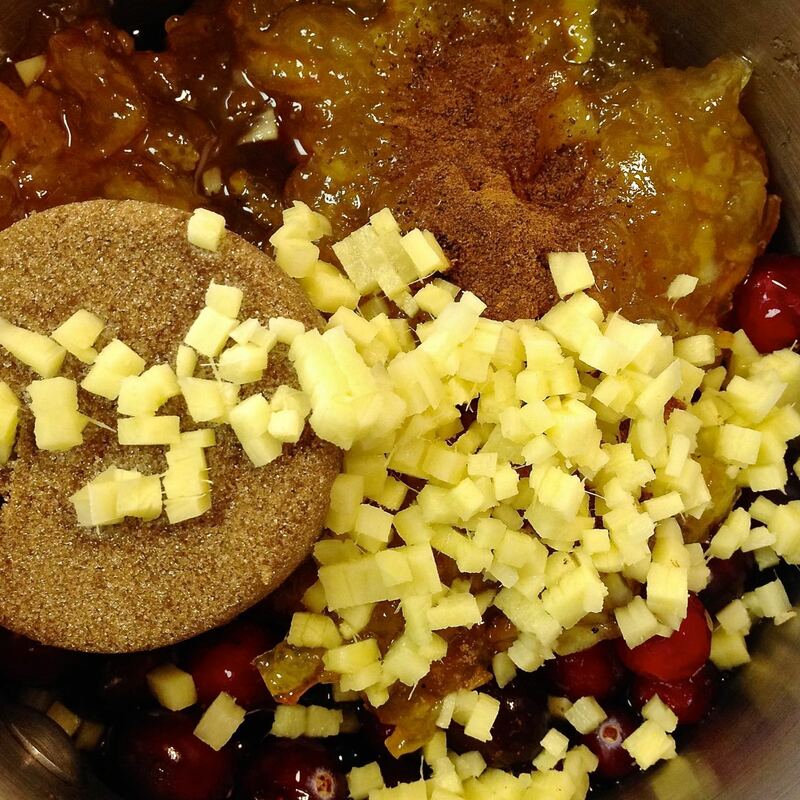 Serve with the cranberry sauce (glaze) alongside. 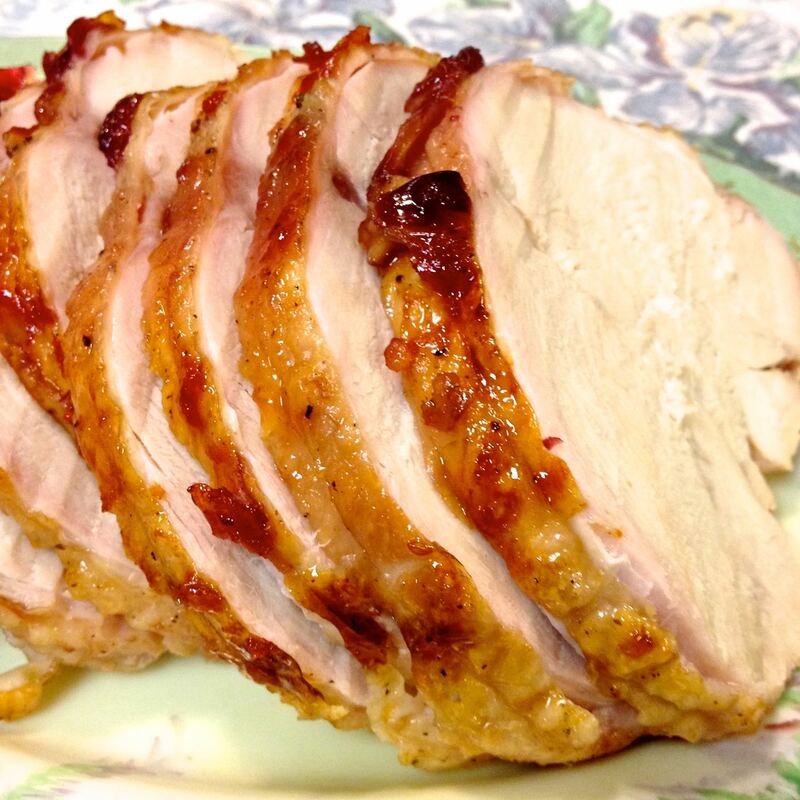 Excellent served with some Do Ahead Gravy, and traditional sides for a turkey dinner.